Your vacation should be a time of relaxation and enjoyment, a way to spend quality time with your loved ones and recharge your batteries. It should tick a box on a bucket list, or allow you to explore new cultures and destinations. No-one wants to believe that getting caught up in a natural disaster, suffering an accident, or being on the end of a financial catastrophe could ever happen to them. Yet global political and economic uncertainty, heightened terror threats throughout the world and natural disasters impacting well known tourist destinations, are never far from the headlines. There were over 200 terrorist attacks in Europe last year, including Manchester, London and Barcelona as well as numerous natural and financial tragedies. September 2017 – Ryanair cancels thousands of flights, leaving many holidaymakers without transport. September 2017 – Hurricane Harvey hits Texas and becomes the second costliest cyclone on record. October 2017 – Monarch Travel Group collapses. The largest British Airline Failure in history, leaving over 100,000 customers stranded overseas. February 2018 – A magnitude 7.2 earthquake in Southern Mexico, causing major damage and killing over 230 citizens. April 2018 – A three month Train strike by French railway workers, causing travel problems to many tourists. May 2018 – An un-precedented heatwave in Pakistan kills 180. June 2018 – A volcanic Eruption in Guatemala caused a deadly pyroclastic flow, which moved at speeds of up to 90 miles an hour causing widespread devastation and killing over 400. July 2018 – The most deadliest and destructive wildfires ever to be witnessed in California, which cost an estimated $3.5 billion. July 21018 – Torrential rain and landslides kill over 200 people in Japan. August 2018 – Monsoon Flooding kills more than 300 people in India, recorded as the worst flood in 100 years. September 2018 – Hurricane Florence causes widespread damage in the Carolinas and the Caribbean. September 2018 – A 7.5 magnitude earthquake and 20 foot tsunami struck Sulawesi Island in Indonesia, triggering a state of emergency in the region and rendering nearly 400,000 homeless. October 2018 – Primera Air, a budget Airline Collapses. The Danish registered airline files for bankruptcy, leaving many holidaymakers stranded. November 2018 – France’s worst civil unrest for fifty years. Hundreds are injured and arrested in Paris. December 2018 – Europe’s largest regional Airline Flybe in Financial trouble, despite attempts at a rescue package, the company may cease trading. December 2018 – Extreme heatwave in Australia leading to catastrophic fire conditions and billions of dollars of damages as well as loss of life. December 2018 – BestJet, the Australian budget airfare company enters into voluntary administration, leaving thousands of frustrated customers out of pocket. In the last twelve months six ATOL licenced travel companies have ceased trading, with one major UK travel company having issued two profit warnings. We have highlighted only the more noteworthy events during the last twelve months. Thousands of unexpected events in all forms, occur around the world on a daily basis and any one of these could easily effect your holiday and cause financial loss. 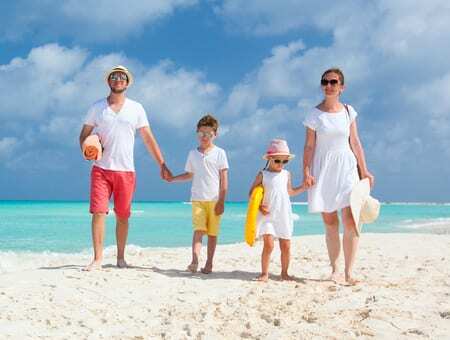 It is therefore staggering to read that over four million UK citizens chanced their arm and travelled abroad last year without any holiday insurance. We at ThatsInsurance cannot understand why anyone would even consider spending thousands on a trip abroad, but not a mere fraction of that amount on a travel insurance policy. There are hundreds of easily accessible policies to choose from. We have taken the trouble to rate and review each one for you according to the levels of cover they provide. You can find details here. Both ABTA and the FCO (Foreign Office) are campaigning to highlight the need for travel insurance. Remember that no one is obliged to bail you out, should you suffer an incident abroad and don’t have adequate insurance cover.